The vision of the ElderGames project consortium is to design and develop a unique application to explore how new and emerging advances in information and communication technologies can be adapted, applied and combined with play/leisure activities to improve the health, welfare and quality of life for Europe’s growing elderly population and, at the same time, providing those experts specialising in elderly care and supervision, such as physiotherapists, physiologists, gym teachers, sociologists, etc, with an innovative application which they can use to monitor and to improve the quality of the care they deliver. 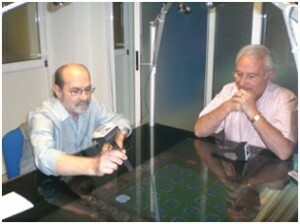 Research into ICT-based gaming has revealed that the combination of play and the use of advanced information and communication technologies has the potential to improve a number of areas which are considered as a priority by experts involved in the design of new intervention programmes for the elderly. Key areas include, in particular, the promotion of greater autonomy and health care as well as the improvement of quality of life and cognitive skills. 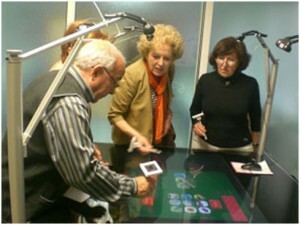 Moreover, the ElderGames project intends to promote, through the creation of an easy-to-use IST platform, the communication between elderly people and their families across Europe by means of implementing an alternative and augmentative communication system able to overcome geographical and linguistic barriers. 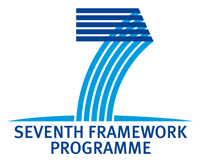 Co-Funded Project by the Sixth Framework Programme of European Commission.